My name is Avé Laveque but my students call me Madame Leveque. I was born and brought up in Paris with Monsieur and Madame Depaul, my god parents. My parents died in a car-crash when i was just an infant. I was sent to an all girls school in Paris and got a very good education compared to some people. I spent most of my childhood in school or playing on the streets of Paris with my many friends. 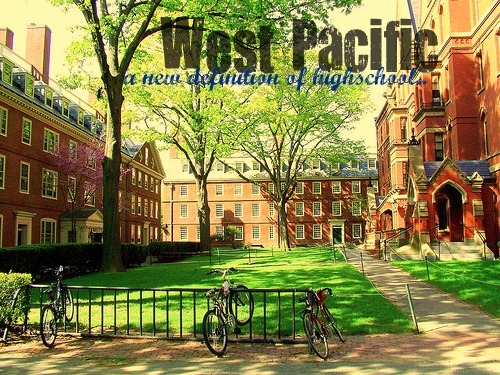 I currently teach art at West Pacific Academy which i find very enjoyable. I consider myself to be a very respected art teacher. I am fair and respect other peoples point of views when they are shared with the class. I tolerate alot but when you overstep the line i will guide you back behind it. In my job i look to take my students through the wonderful journey which is art. I do not tolerate discrimination, bad language or stupidity. When you respect me, i will respect you back. Respect is everything. Pretty song, what is it? Its Clair De Lune by Debussy. You may have heard it from twilight because Stephanie Meyer added it into her book and now all the twihards are all over it. Silly people. shakes head. Its paramore all over again.